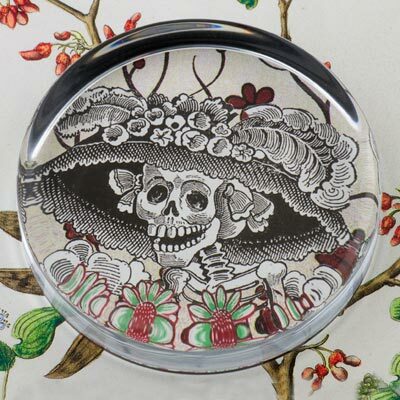 This paperweight This beautiful, unique and collectible pendant features an image from a collage of mine featuring an illustration by Jose Guadalupe Posada and vintage die cut flowers on antique floral themed paper. 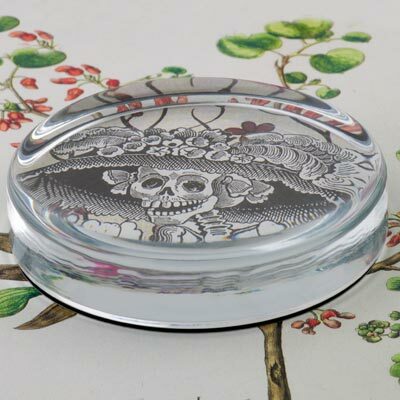 Superb quality, handcrafted glass flat round glass paperweight. Characteristics inherent in handcrafted glassware such as an occasional air bubble or light swirling may be present. Much care is taken to ensure this does not interfere with the image. Packaged with care in a lovely gift box. Large Paperweight approx. 12 oz. Dimensions: Approx. 3 5/8" x 3/4" Deep. Food Safe, Hand wipe clean. Meticulously made in Colorado, USA. 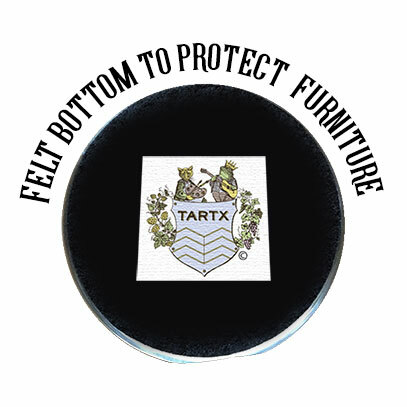 Due to the weight of the glass paperweights the cost of shipping paperweights overseas is quite high so there is a flat shipping surcharge added to International Orders. 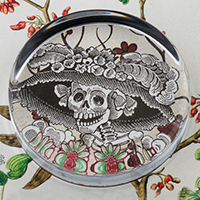 If you are purchasing more than one paperweight you will only need to add this flat charge once regardless of how many paperweights are in your order. Paperweights are ready to ship within 3-4 business days after order is placed.